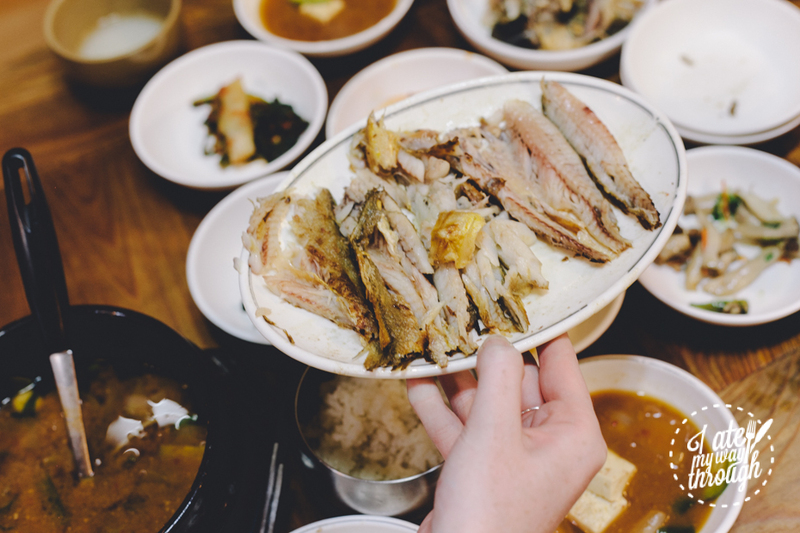 Exclusivity is the key word I’d associate with Gastro Tour Seoul and I would argue it’s the key factor that distinguishes it from other food tours. While it’s easy to assume you could theoretically copy the destinations of food tours and therefore not need them, many tours are only possible due to the longstanding friendships cultivated between tour guide and ‘host’. For Ms Veronica Tae-Ahn Kang, founder of Gastro Tour Seoul, the process of refining this traditional gourmet Korean food tour took three years, from conception to integration. It’s this sense of exclusivity and rarity, true to form, makes the Brew Masters tour a gem for alcohol enthusiasts. 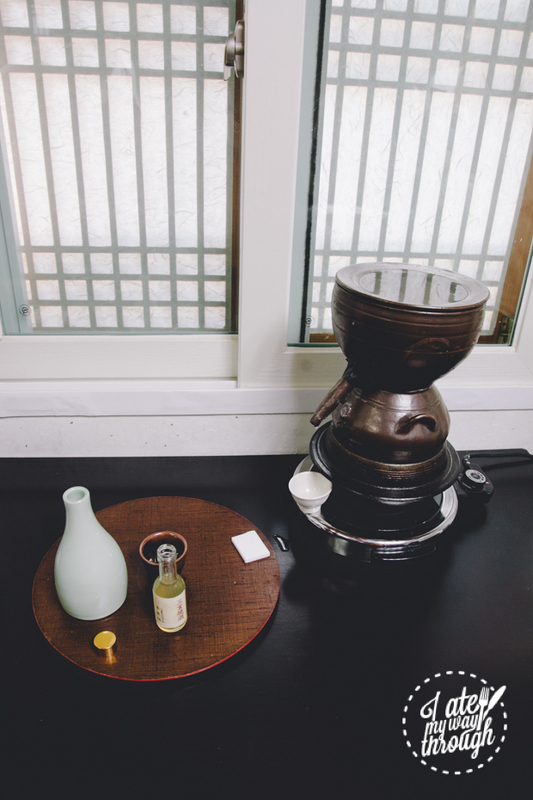 Our first key destination was to the home of Mr Kim Taek Sang from the Bukchon Heritage Studio, which is a beautiful traditional Korean hanok house in a quiet street away from the hustle and bustle of commercial strips. 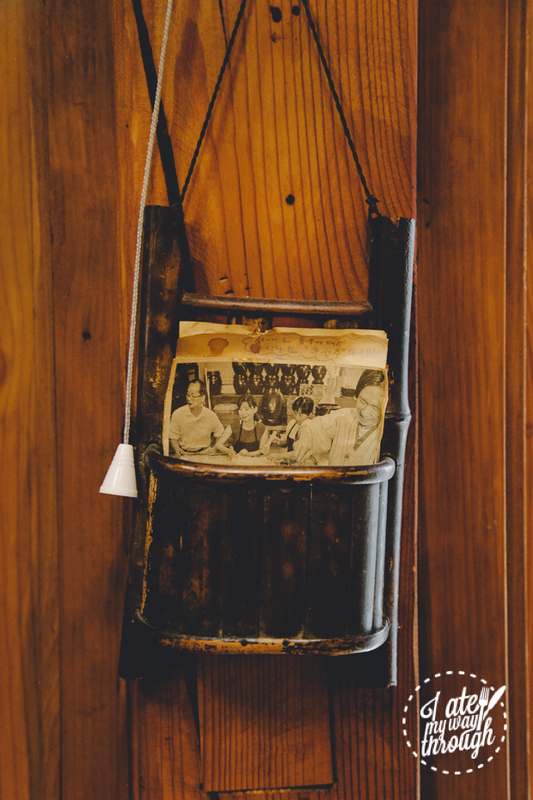 Mr Kim is a master soju-maker who is listed as the 8th intangible cultural heritage figures in Seoul, and utilises methods passed down over 300 years through the maternal line. To be able to sit down in his basement and be personally served his liquor is an experience that foreigners will be hard-pressed to come across on their own. For someone who is such a keystone figure in Korean traditional culinary culture, Mr Kim is relatively quiet and unassuming in person, though he is quick to laugh and is patient with our questions. There’s a mischievous glint in his eye as he takes us through the array of liquor he brews, and guides us on the proper way to drink the liquor spread before us. 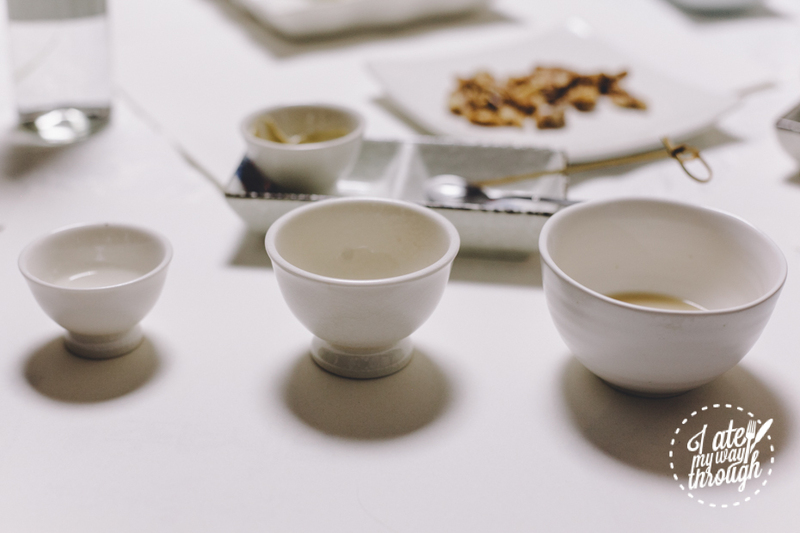 If you notice a handful of small flies in the basement, know that flies are apparently the barometer of good soju, as they are attracted to the rice and yeast combination within the clay jars. Or maybe it was a superbly and smoothly executed excuse (my money is on the former). 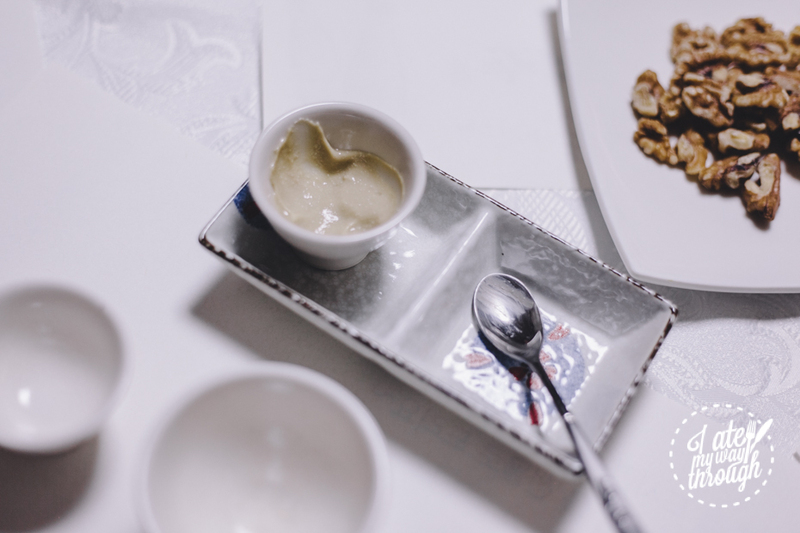 We began with yihwaju, which is a rare form of makgeolli (an alcoholic beverage made from fermented rice that’s native to Korea) that takes the form of a creamy, paste-like form, a little like slightly grainy yoghurt. It has a certain sourness to it, which quickly dissolves into a burst of alcohol. Yihwaju is often used as an entrée or dessert during a meal and is, apparently, very good over ice cream. 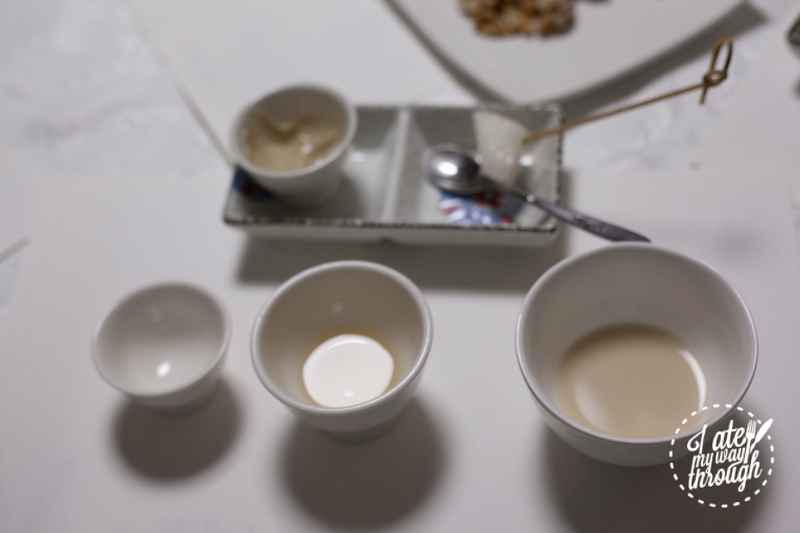 Soju and makgeolli are brewed in the same jar over the course of a month and the chemical reactions from the rice, water and yeast naturally divide the brew in two parts – the thinner, stronger and clearer yakju (middle bowl) and the thicker residue down at the bottom that is makgeoli (far right bowl). Both the yakju and makgeoli had a subtly sweet undertone and was very smooth and fine. 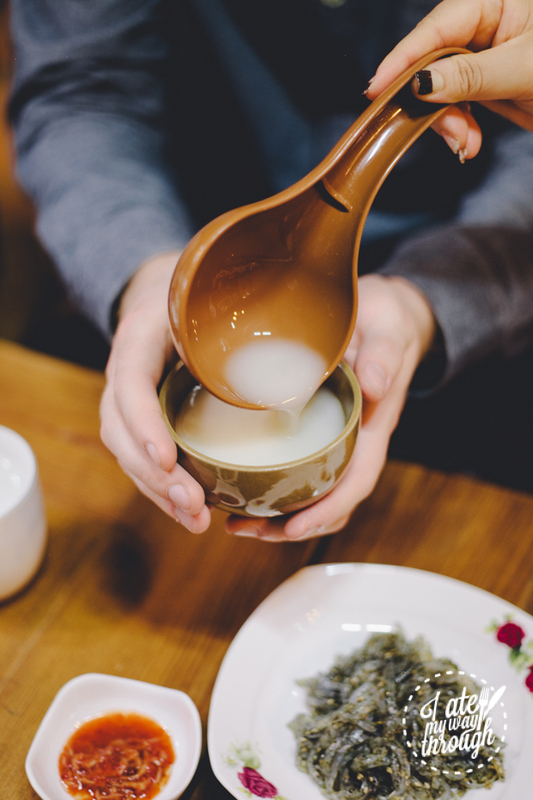 The yakju is then distilled through a steaming device into soju, which is Korea’s most famous and most popular liquor. 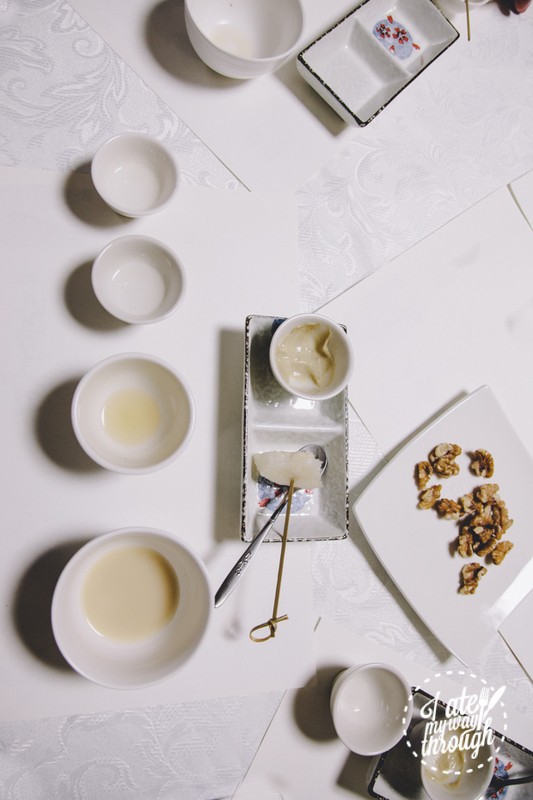 Mr Kim’s signature soju brew in the bowl on the far left is known as samhaeju. Despite the roughly 50% alcohol content, the samhaeju had a fine, clear taste, with a marked lack of chemical or petrol-like aftertaste. While we drank and snacked on some pears and walnuts, Veronica helped to translate our questions for Mr Kim and he, in turn, shared interesting soju-brewing traditions, like the fact that the pigs day of the Lunar Calendar is the best time to make soju, as pigs blood is considered the clearest of all the Zodiac animals and will help to create clear soju. The taste of soju and the time it takes to brew also changes with the seasons. Due to our limited timeframe, we were given a custom 2hr tour, instead of the longer 3-4hr tour that comprises the typical Brew Masters Tour from Gastro Tour Seoul, and therefore took taxis instead of walking like the normal 4hr tour requires. You probably want to dress up slightly for the tour. Our second and final stop was to a beautiful traditional Korean lunch spread at the restaurant of makgeolli brew master, Park Jeong-Chul. Again, this is a restaurant that can only be reached through wandering through narrow side streets, a place you can definitely only find if you’re in the know. 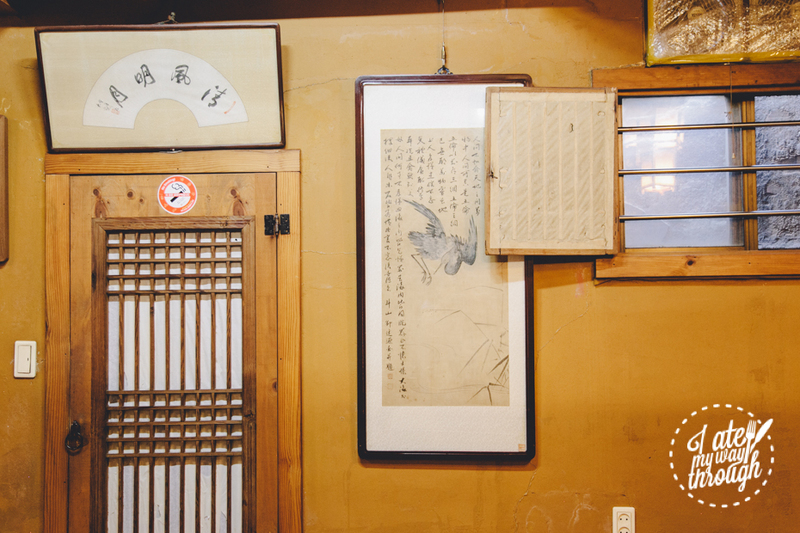 Mr Park is also a fine art collector and you can see beautiful traditional paintings and calligraphy works adorning the walls of his restaurant. We only glimpsed him briefly but, again, he greeted us with the good cheer of a busy restaurant owner who was enthusiastic to let us try his food. If you adore the multi-coloured banchan (side dishes) that characterise traditional Korean cuisine, this place offers multicoloured banchan to end all banchan (think pickled vegetables, sweet, chewy anchovies that do not have a strong fishy taste, kimchi, to name a few), along with a brilliant, table-covering lunch spread. This is a generous, full-blown traditional culinary affair, designed for a large table of people, and is to be savoured slowly. Many people go to Korea thinking all Korean food is ridiculously spicy but, according to Veronica, most of the original, traditional Korean dishes are actually very light and healthy. 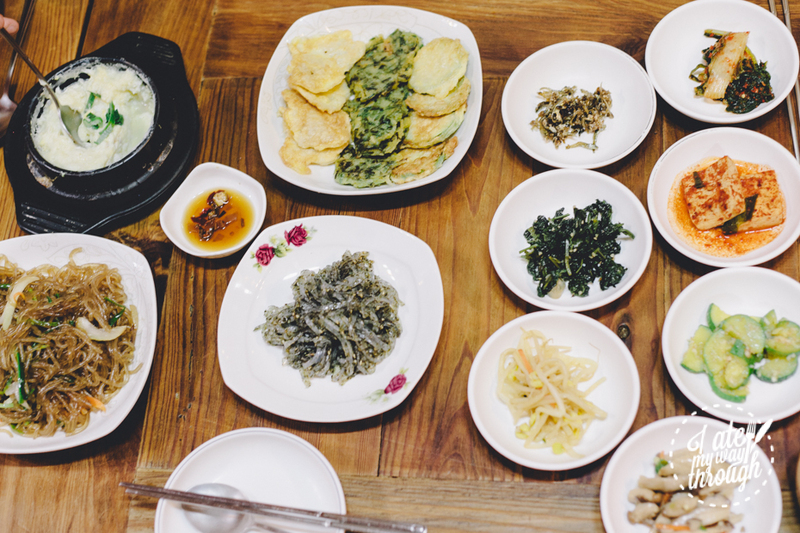 The very red, very spicy dishes tend to be geared towards catering to tourists’ perceptions of what Korean cuisine should be – some food for thought! 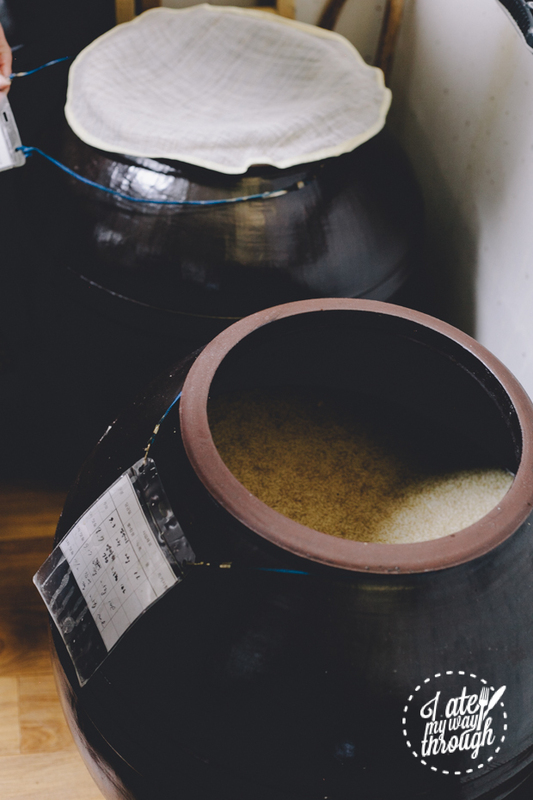 The makgeolli that Mr Park serves is certainly more carbonated that Mr Kim’s, which is a result of the yeast eating sugar during the fermentation process and putting out carbon dioxide. It is creamier than the bottled makgeolli you might find in other restaurants, and extremely refreshing. 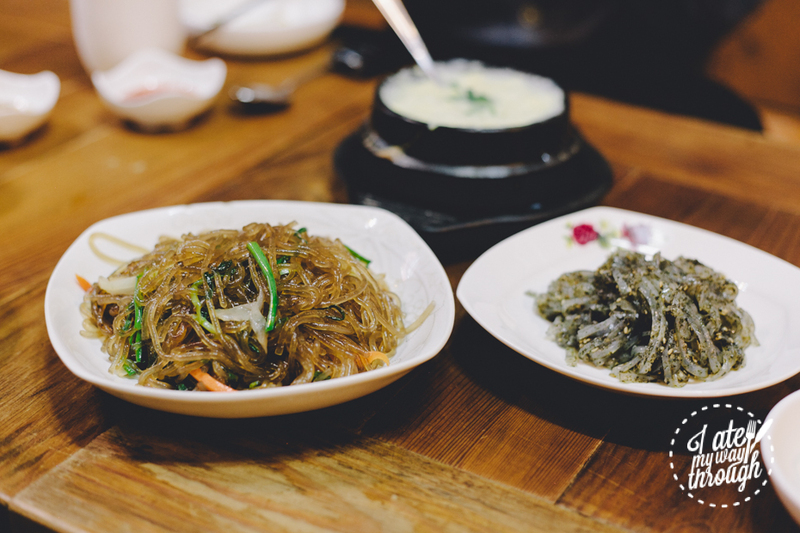 One of my favourite dishes of the spread was the warm japchae, which are clear, chewy sweet potato noodles stir-fried with vegetables and a slightly sweet soy sauce seasoning. The dish next to it is a form of tangpyeonchae, which used to be Korean royal court cuisine. The dish itself comprises slivers of nokdumuk (green or mung bean jelly), lightly seasoned with seaweed flakes and sesame. 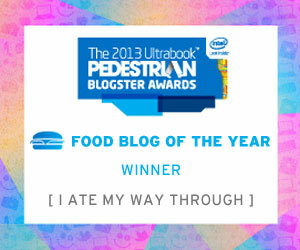 If you can get past the jelly texture, it’s actually a very fragrant and light dish. Something else you need to try is samhap, which incorporates bossam (boiled pork belly), radish kimchi and pickled white cabbage. The pork belly itself is, again, very lightly seasoned, allowing the natural flavours of the pork to shine through, with a great balance of meat and fat. 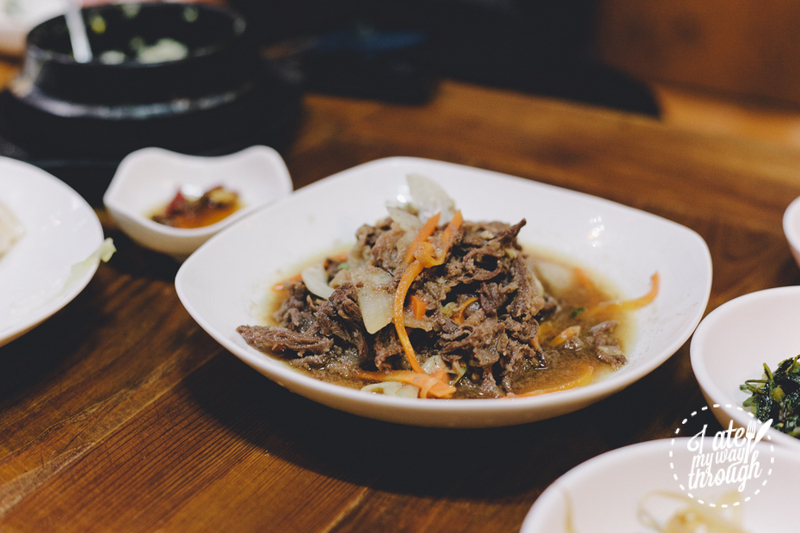 Korean bulgogi (marinated beef) is, apart from kimchi, one of Korea’s most iconic culinary staples, and a must-have. Like all the other dishes at Mr Park’s restaurant, the flavours are kept fairly light and restrained, though fairly sweet, and seems designed to complement the makgeolli. 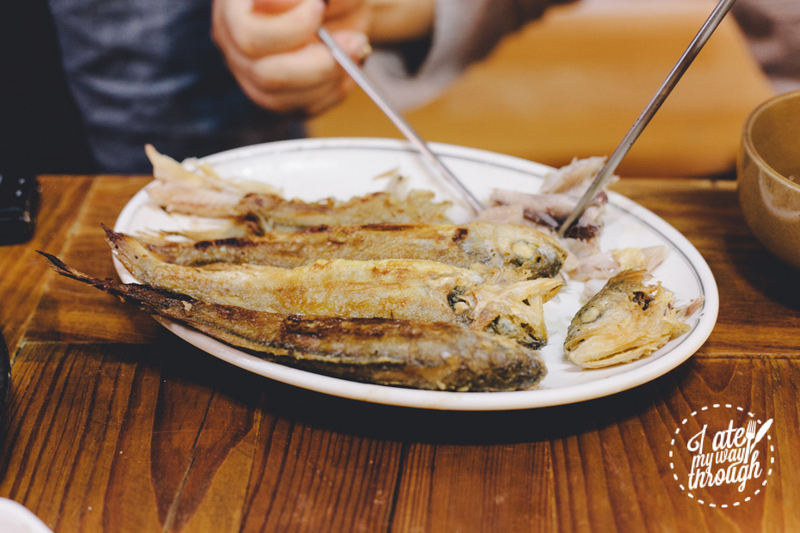 We finished the meal with grilled jogi, or yellow croaker fish, which is considered a luxury in Korea due to its rarity, and can only be found in South Korea’s Jeollanam-do province. It is often bought or ordered during special occasions like Chuseok or Seollal, which are the national holidays in Korea, and used to be a classic present to give to royalty. After a taste of the jogi, I can see why it’s considered a delicacy. The fish is dried in salt for 100 days, which packs it full of flavour. The lightly fried fish is incredibly delicate and tender meat. This is a must-try, if you want to eat like a king in Seoul. Gastro Tour Seoul and its Brew Masters Tour is the ideal food tour for those looking for a high calibre Korean culinary experience that gives you a rare glimpse into the ongoing, traditional practices and creations of some of Korea’s most longstanding artisan brewers; though they stand apart from popular convention, they are all the more fascinating for it. 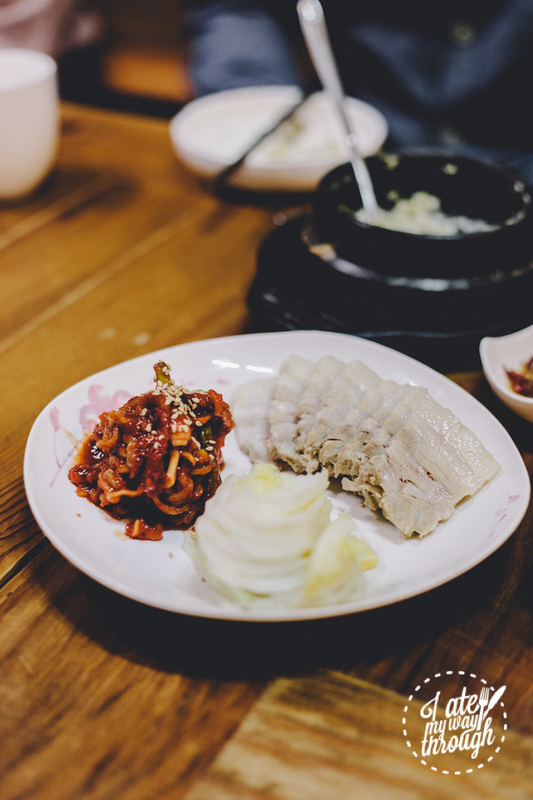 I Ate My Way Through dined as guests of Gastro Tour Seoul.